If you’re a regular reader of my blog, you’ll know that we went to Camp Bestival this year; and well, we’ve caught the festival bug! Across my social media I saw friends headed to the myriad of festivals there are out there, and didn’t actually realise just how many festivals take place. We sadly didn’t get to any more this year, but I’ve pencilled in some I would like us to try out in 2016. It got me thinking though, how you can create some of the festival vibe in your own back garden! So that’s exactly what I did a few weekends ago, when the weather was actually sunny, and not pouring down with rain, like it is at the time of me writing this! I’d been sent a box of beer, from the Craft Beer Club, Flavourly, and it seemed like the perfect opportunity to set up a beer festival! I hadn’t seen my brother for a long time, nor met his new girlfriend, so it was an opportunity to see them, and my other sister also came along with her family. I broke out the snacks, set up the bottles of beer – along with more brought by my guests, hung up the bunting, set out blankets and inflatable chairs, had bubble wands on hand, dug out my guitar for a sing-a-long, and of course, hoped the sun would last all day long! Top of the list of any beer festival is of course the beer! 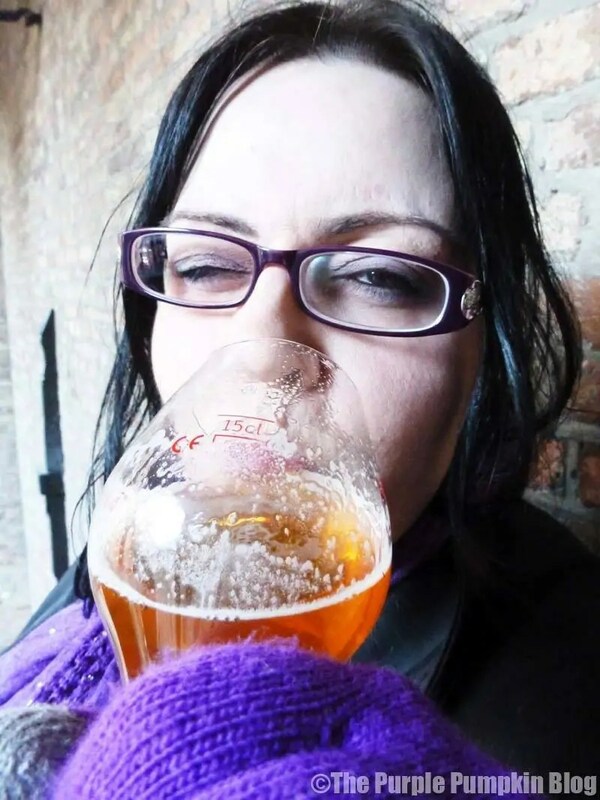 We’ve been to a few beer festivals over the years, including one in Belgium, and they’re a great way to try out different beers. Now, of course, for your own beer festival, you could head down to the local offie and pick up some beers, but where is the fun in that? 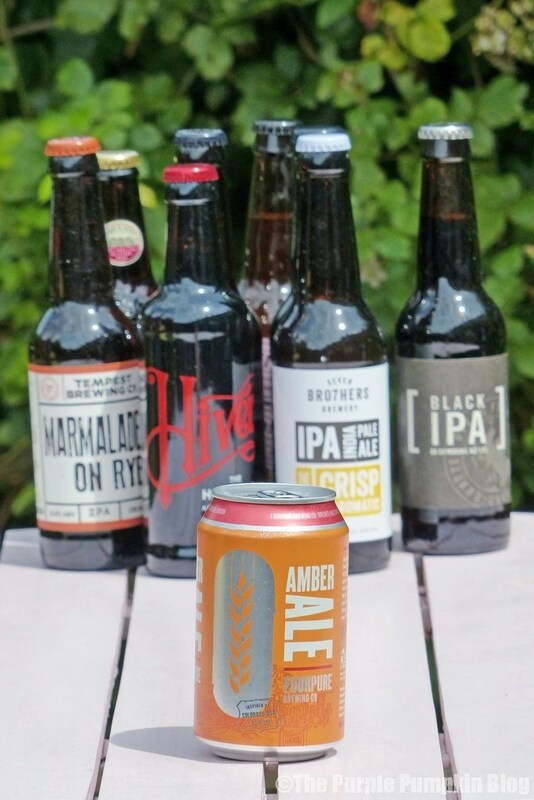 The Flavourly Craft Beer Club have sourced over 100o of the best craft beers from independent micro breweries, and send a carefully curated box of beers to you each month, plus a couple of snacks to enjoy – all for £20 (plus P&P). 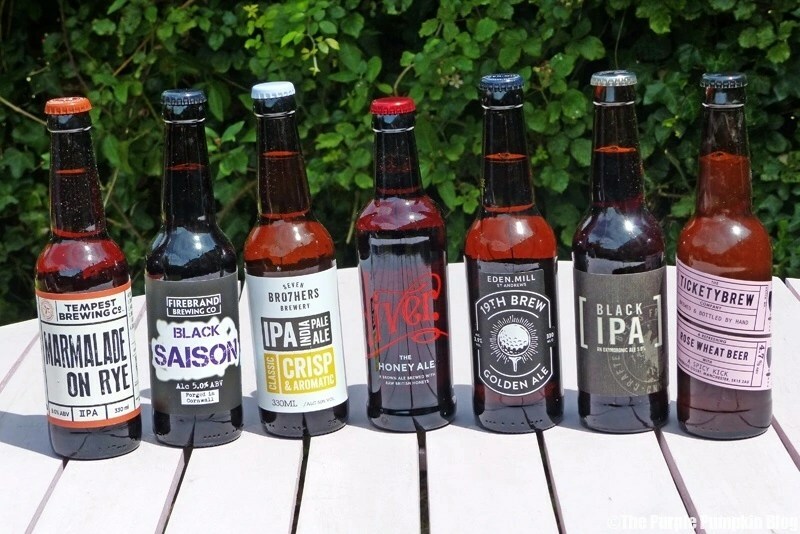 My husband is a real beer lover – and enjoys trying out new types. This sort of box is perfect for him, there is the bonus of being able to re-order your favourites from the Flavourly website. 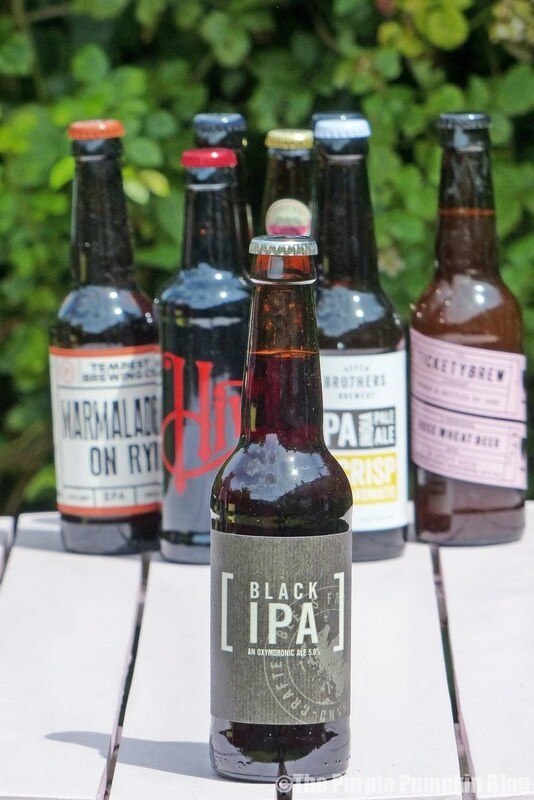 The beers are packaged in a sturdy box, and delivered by Royal Mail, and it’s quite exciting to open up to find your goodies inside. The first box also contained a pint glass, beer mats and a bottle opener, which I thought was a nice touch. There was also a card inside the box which showed you where your beers had come from, as well as description of each one. I provided small plastic tumblers to divvy out the beer between us, so we could all taste them – it’s pretty cool to find out different opinions on the flavour of each beer, and what each person can taste in them. If you want, you could even make score sheets to see which beer comes out on top. Breakfast nostalgia bottled. A spread of heavy hops, sweet fruit and bitterness on seriously toasty malts. Medium to dark amber able with orange overtones. 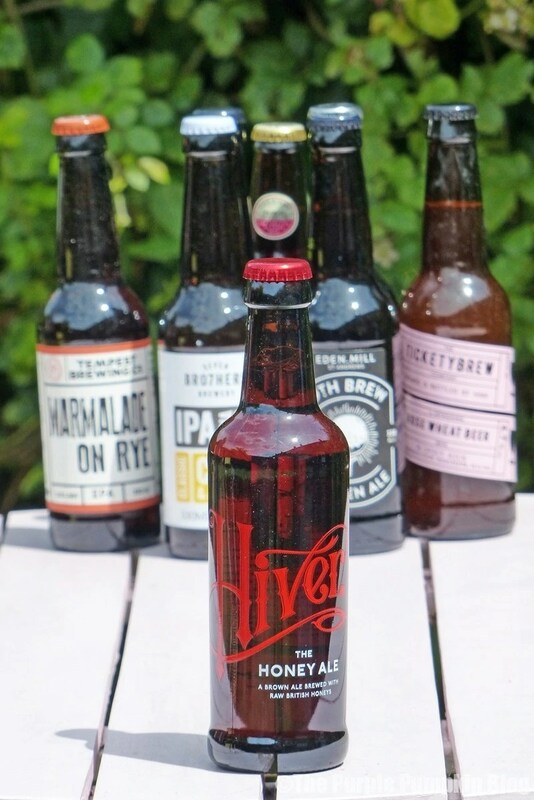 Made by fermenting raw blossom and heather honeys, Hiver’s Honey Ale is a copper-coloured ale with a chocolatey nose, a rich roasted flavor and a light bitter finish provided by Admiral and Bramling Cross hops. Described by Hiver’s beekeeper as “the Worcester sauce of honeys”, this Honey Ale is a wonderfully delicious and extraordinary ale with a great kick. A classic American style India Pale Ale with delightfully bitter overtones. Massive amounts of hops are added to this beer, giving it a rich and flavoursome base. Grapefruit and floral undertones are released as you enjoy, and the generosity in hop addition results in a full aroma bursting with citrus. A refreshing, deliciously drinkable and well balanced Golden Beer, with a hint of citrus and slightly hoppy character. Pale rye, lager malt, caramalt and wheat is complemented by a generous helping of first gold and cascade hops to deliver a very refreshing beer with a broad appeal. 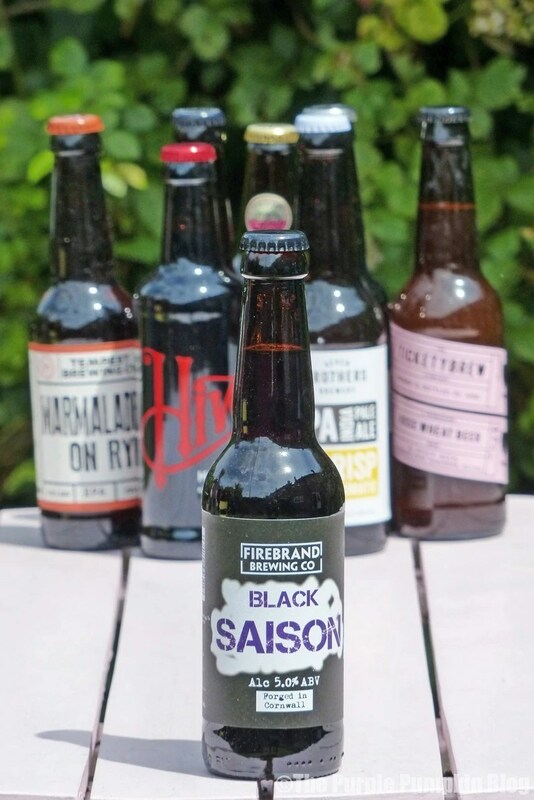 Black Saison combines British and Belgian beer heritages to make a brew that takes elements from British stouts and Belgian farmhouse saisons. It’s dark and full of roasted malt flavours, with a smoothness from the high wheat content. The beer is also delicately hopped with European hops designed to add a floral edge, and then it’s fermented with a saison yeast, filling the beer with a complex fruity flavour that complements the rich malt. On the nose are fresh pine and tropical aromas from bucket loads of Galaxy hops as well as a malty backbone. The taste is medium bodied with a bitterness which gives way to coffee. A unique beer with distinct aromas of rose petal, balanced by a subtle kick of fresh ginger to create a floral and slightly tangy taste. It’s topped off with a hint of sweetness provided by speciality Belgian yeast and has a sweet spicy fruit finish. 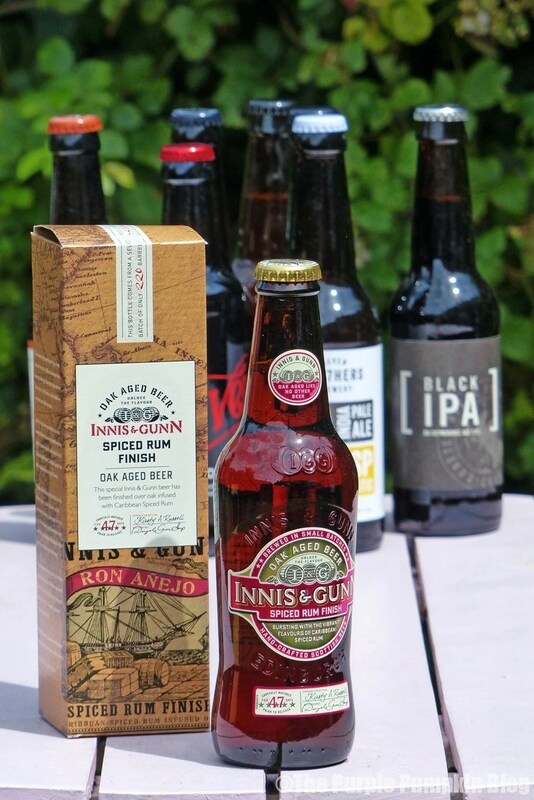 A Scottish beer matured over oak heartwood and infused with specially selected rums. It’s spicy, full-bodied and has hints of dark fruits in the flavour profile, as well as a nicely mellow finish with touches of oak. Winner of Grand Gold in the Monde Selection Awards 2012. Rich, bready malt character is balanced by earthy, floral Willamette hops. The result is an incredibly balanced and refreshing beer with a delicious toasty finish. 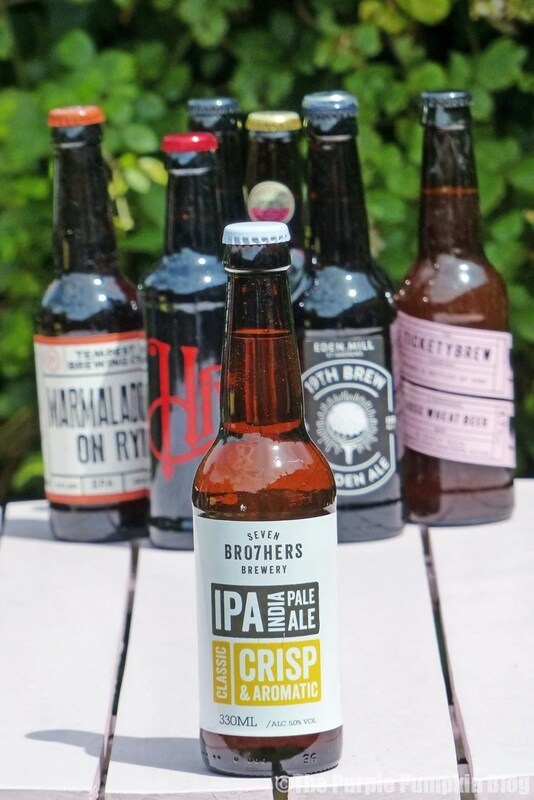 It’s also important to know how to pour a beer correctly – and Flavourly have helped with the instructions printed on one side of the beer card included in your box. Now, I’m a daughter of a publican, and I wouldn’t be worth my salt if I didn’t know how to do this already – having been able to pull a pint since I was knee high to a grasshopper! My husband on the other hand clearly got nervous in front of the camera when I took a photo to demonstrate! Tilt the glass at a 45° angle. Place the open end of the bottle just inside the rim of the glass and begin pouring. Do not touch the inside of the glass with the bottle. When two thirds full, slowly return the glass to an upright position, while continuing to pour the beer. The bottle (or can) should be pouring straight down to finish. 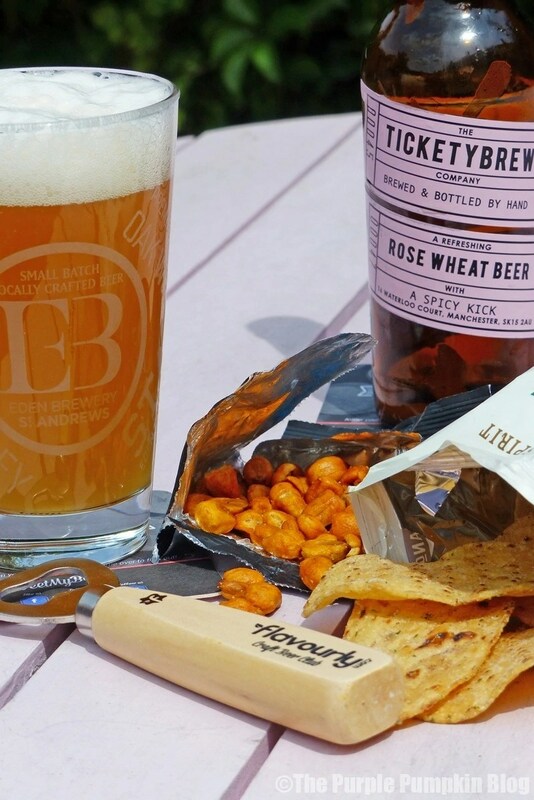 Snacks go hand in hand with beer – they can be as simple or as fancy as you like. Favourites are, of course, nuts and crisps; but how about some charcuterie, cheese, olives and dips? 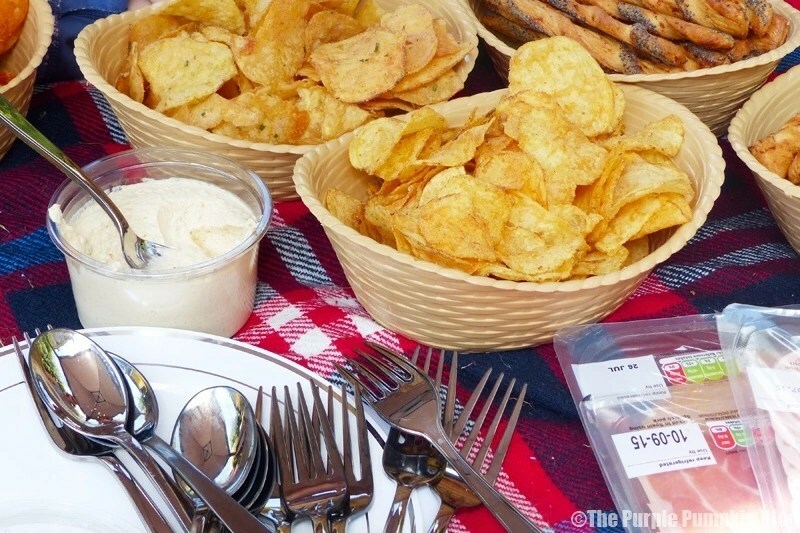 You need something to line the stomach of your festival goers – you don’t want them falling all over the place! You could also throw a BBQ, but for the love of God, please ensure that it is someone sober operating the grill. Food and drink is made to be enjoyed with friends and family – so invite them over to your festival! Not everyone will be a drinker, so make sure to include soft drinks for them! 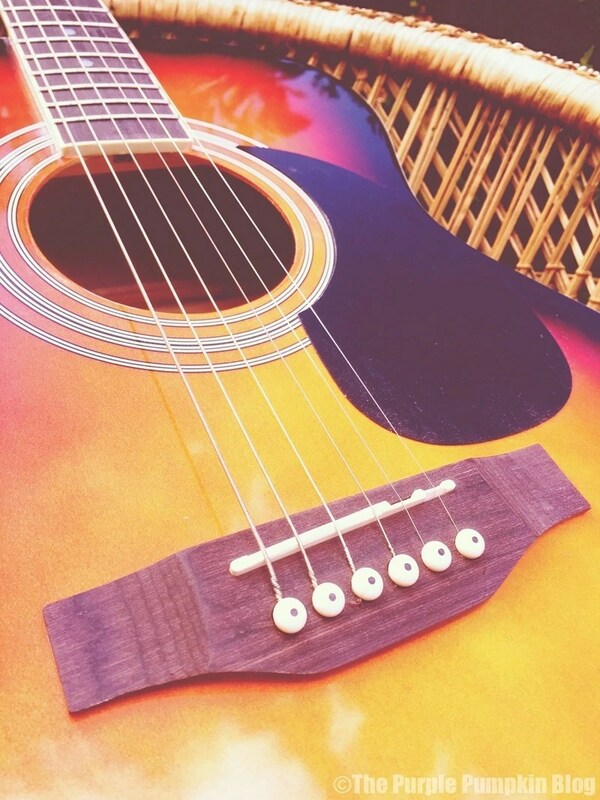 I’m lucky that I have a family of musicians, so it’s easy to break out the guitar and have a sing-a-long, but if you don’t, then hook up the iPod to a speaker, or go old skool and bring the record player outside! I personally, as the host, would ensure that I don’t get so tipsy that I don’t know what is going on! Drink responsibly, and certainly don’t drink and drive. The important thing at a beer festival is to enjoy the range of beers on offer, and appreciate them, much like fine wines. Have fun, and if the rain does fall, it’s easy enough to move everything indoors! Such a brilliant idea! OH would love this as he’s well into beer and doesn’t get to go to beer festivals any more and I know it was something he used to enjoy doing. Would be great to do as a birthday party for him. Oh this is just brilliant and perfect timing. It’s my Ohs birthday soon and this would be a great present! Well, that’s that one sorted then! Happy birthday to your OH! I’m not a big fan of beer – I actually prefer the smell to the taste, but I’m always up for trying new things! Oh I just love this idea! 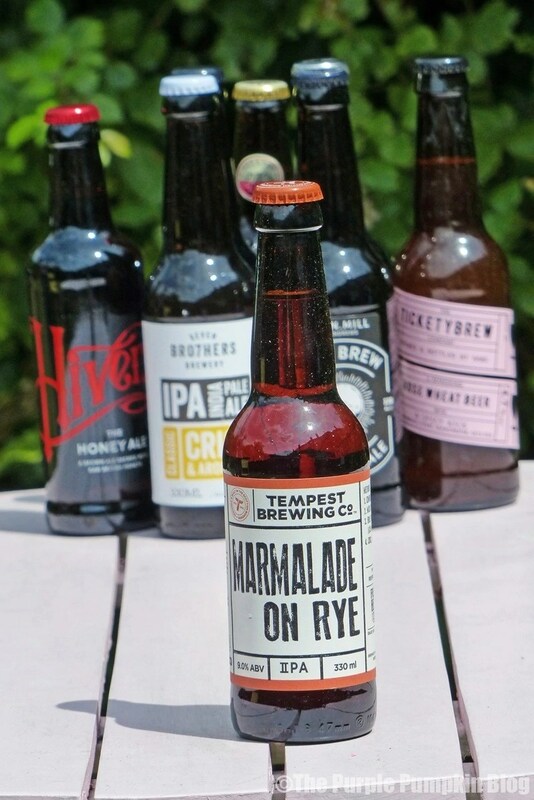 Put me down for a Marmalade on Rye please that sounds divine! A great sound beer isn’t it? Aaaaaahhhh!!! That is so awesome! please can we come next time?!!! I love Festivals AND beer!! I know right – they kind of go hand in hand don’t they?! I’m not a fan of beer, nor are my friends but this would be great for a cider festival, we’d have so much fun. Thanks for giving me an idea for our next sunny weekend! I’d say choose your favourite tipple and go for it! My husband would love this idea! A perfect way to wet the baby’s head :D I bet Oktoberfest is amazing – would love to go! 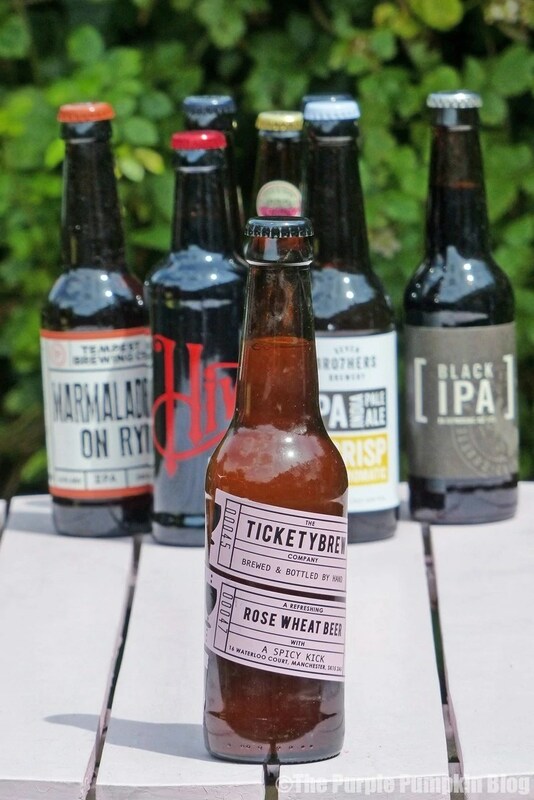 Some of those brews sound delicious – and I love the last pic of you! I’m glad you enjoyed a grown up festival at home!!! lol, I look like a right drunkard in that pic, but it was good tims! 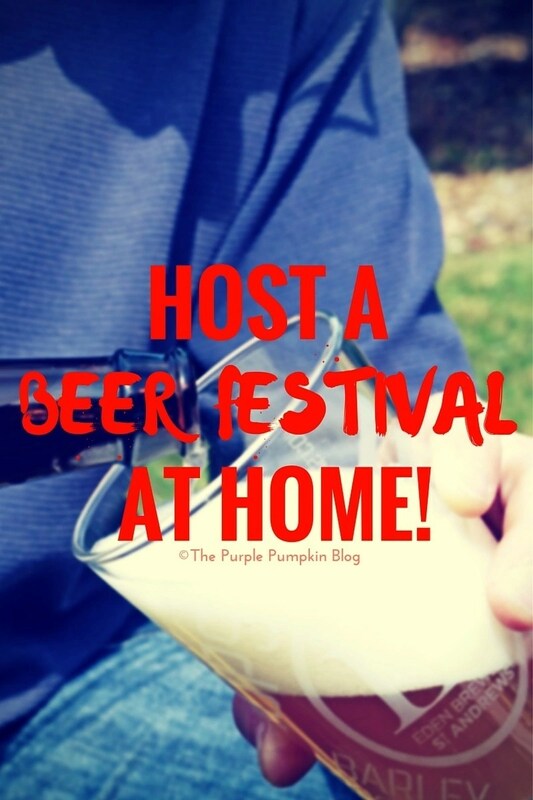 I love the idea of a beer festival at home. 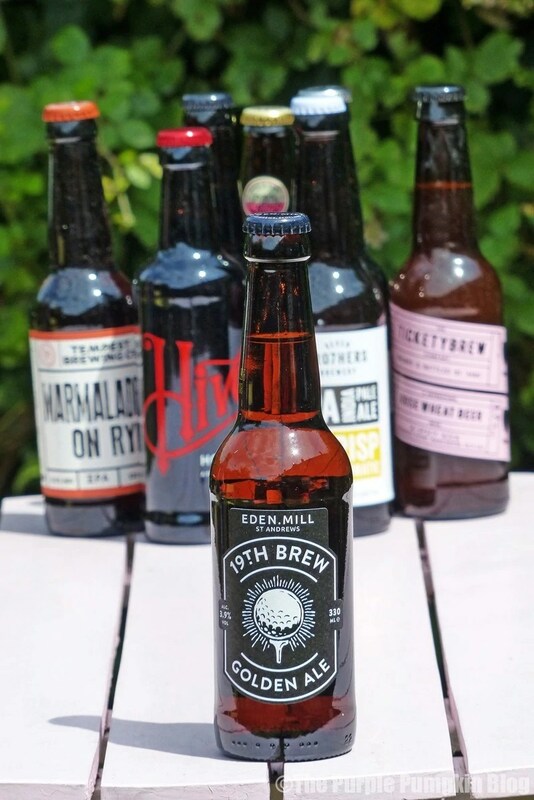 We tend to drink wine at home and beer at the pub, but with some nice real ales on offer I could be easily tempted as I’m a bitter drinker.